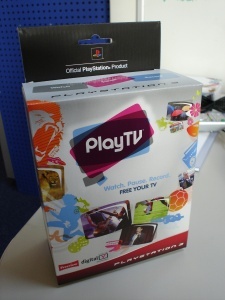 I spent nearly a year as the Lead Programmer on PlayTV, and it should finally be in the shops on September 19th. In an interesting twist, this has probably been the most straightforward project I’ve ever worked on. So it’s nice that blogs I respect and enjoy are actually getting quite excited about the product! My time on the project is more or less finished now, and I am back working on games concepting. However, there are lots of snippets of useful information that I’d like to share about PlayTV, but probably can’t at the moment (NDAs, legal issues). This whole “DRM” saga is particularly vexing. Maybe at some point in the future I’ll be able to release them.